The World is discovering Livingstone, the tourist capital of Zambia. It boasts one of the seven Wonders of the World, Victoria Falls, opportunities to get up close and personal with Africa's "Big 5", and thrilling adventures in and along the mighty Zambezi River. However, it is often said that the true wonders of Livingstone are not its waterfall, river, or wildlife, but the people who call it home. WE ARE LIVINGSTONE weaves together the stories of fifty Livingstonians from all walks of life who help make this "village town" the vibrant, diverse, and close-knit community that it is. Through in-depth interviews, their stories are brought to life in both the hard copy and eBook versions with vivid images, text, and video footage. The author's hope is that the reader will come away with an intimate sense of the extraordinary culture, passion, and pride of the Livingstone community through the eyes of its most cherished asset, its people. 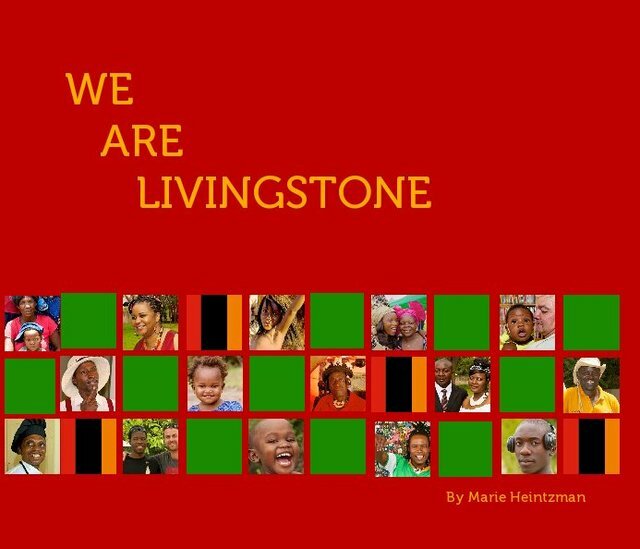 All profits from the sales of this book will be used to fund the work of the Livingstone Tourism Association and various humanitarian initiatives in the Livingstone community and surrounding villages. NOTE: You must first download the free Apple iBook app, then click on the Blurb link to download. Please be patient as this can take approximately 20 minutes. Don't give up. It's well worth the wait. ENJOY! Marie Heintzman is a photographic artist, living in Toronto, Canada. She finds her inspiration in the natural world - whether it be observing wildlife in the Rocky Mountains, Alaska, northern Canada and Zambia or discovering the early morning light patterns within centuries-old architectural structures. Her time is also dedicated to photography projects that have an impact on the health, education and general well being of others.